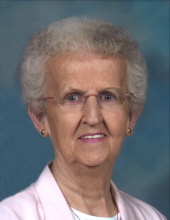 Miriam Ann McKinley, 84, of Waterloo, died Wednesday, April 3, at the Western Home Communities. She was born July 19, 1934, in Lawler, the daughter of Frank and Cleo Sloan Schuman. She married Robert McKinley on January, 28, 1956, in Waterloo and he preceded her in death on August 18, 2015. Miriam was a house wife and mother. She was a longtime member of Blessed Sacrament Catholic Church. Survivors include: her daughter, Shelly (Richard) Gilson of Waterloo; two sons, Michael (Amy) of Waterloo and Mark (Gretchen) of Dunedin, Fla; four grandchildren, Scott Gilson, Tara (Jake Edwards) Tabor, Allison (Jayson) Beal, and Amber (Corey) Smith; five great-grandchildren; a step-grandson, Darin Leitz. Preceded in death by: a brother, Frank Schuman Jr; two sisters, Lois Hurley and Sr. Mary Domincia. Services: 10:30 a.m. Tuesday, April 9, at Blessed Sacrament Catholic Church with burial at Mt. Olivet Cemetery. Public visitation from 4-8 p.m. Monday, April 8, at Hagarty-Waychoff-Grarup Funeral Service on West Ridgeway, where there will be a 4 p.m. rosary and 7 p.m. vigil service. Visitation also one hour prior to services Tuesday at the church. To send flowers or a remembrance gift to the family of Miriam Ann McKinley, please visit our Tribute Store. There will be a 4 p.m. rosary and 7 p.m. vigil service. Visitation also one hour prior to services Tuesday at the church. "Email Address" would like to share the life celebration of Miriam Ann McKinley. Click on the "link" to go to share a favorite memory or leave a condolence message for the family.